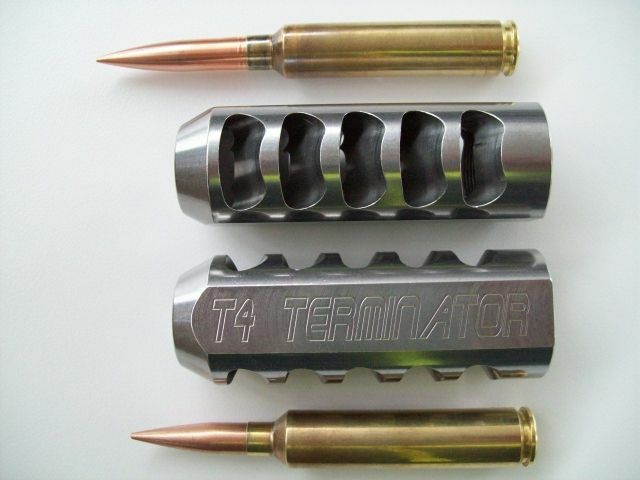 Here is the lastest edition to my Terminator muzzle brake range. It is 34mm diameter, 30 mm across the flats, 93mm long & 3/4 x 28 is the standard thread. It is pictured here with a 375 DCM at the top & 338 DCM below. Gonna put one on ya 22 Toby? If you need a muzzel smash on your 22 you obviousky........obviousley.............pretty much must need a hand to wipe ya bum!!! !